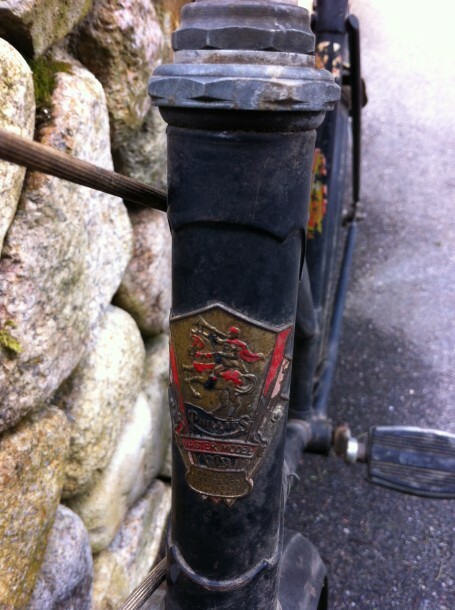 A great score at my dump swap shop a few weeks ago yielded this seemingly, forgotten bike. 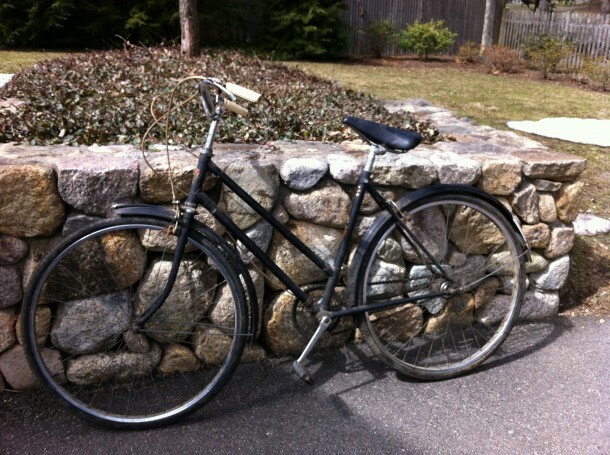 I had been looking for a vintage, English, three speed off and on for some time now to replace my 1966 Raleigh Sports bike that went in the trash some twenty years ago. I had considered purchasing a refurbished, vintage bike, but stopped myself from doing so as I had dreams of doing the restoration myself. My practical side was torn between cost and safety. Purchasing a bike that was already ‘done’ would be costly, but I only know enough about bike mechanics to get myself down the rabbit hole of tinkering, but not enough to dig myself back out again. My safety could be compromised- it wouldn’t be good to realize that I messed up the brakes while coasting down a steep, country road in the middle of a cellphone black hole. I had visions of laying upside down in a culvert fearing that an overgrown, luxury SUV would drive over me without hesitation or notice that they had done so. 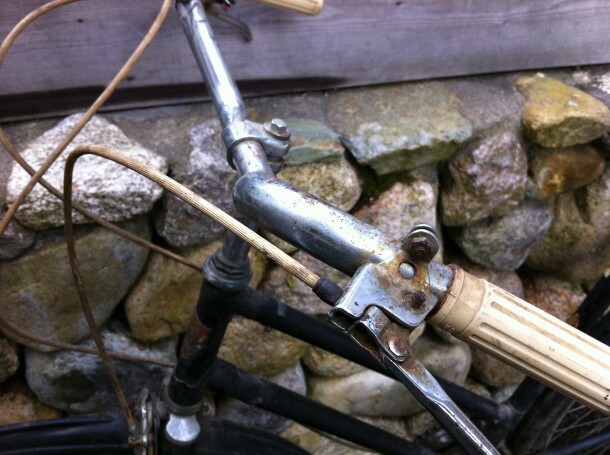 After reading nearly every blog post I could find about restoring vintage bikes, I felt a bit discouraged to consider doing my own repairs and I was not to willing to shell out big money to fulfill a notion of recapturing my blissful days as a 10 year old bopping around town on my first bike with gears. 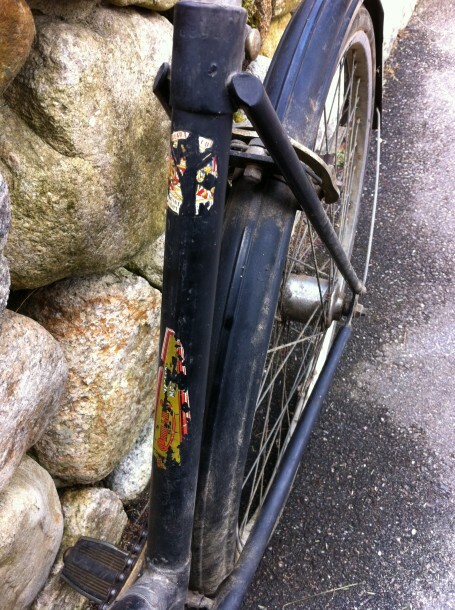 So, I shelved the idea and decided to be happy with my vintage, mixte Nishiki road bike and my Cannondale mountain bike. I know I am fortunate to have a bike, let alone two. Like most dreams in life, if you stop trying so darn hard to make them come true, and allow serendipity to happen, things have a way of working out in your favor. Not saying that is always the case, but when it comes to material possessions, odds are, if you are meant to have it, it will come. Alas, the dump swap shop was the provider. 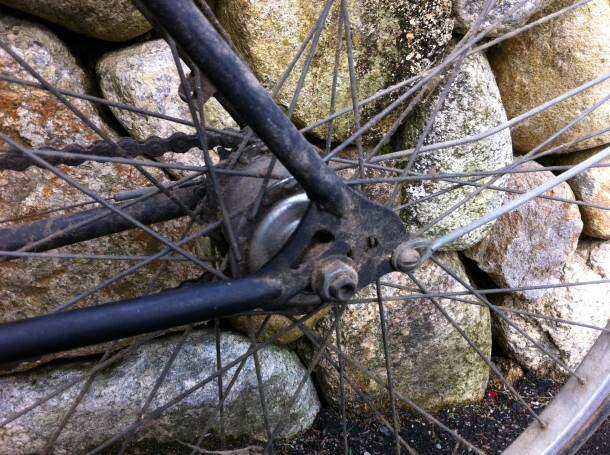 A free bike has given me all sorts of new possibilities like paying a qualified mechanic to do the work. 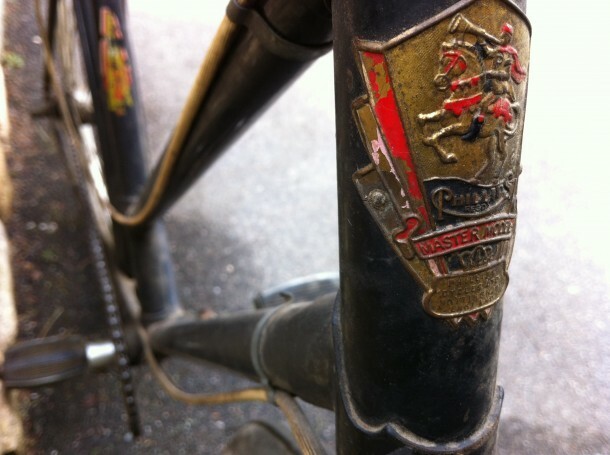 As I sort out what needs to be done to this 1969 British made, Phillips Master Model, I can dream about a Tweed Run somewhere.